Szaibélyite: Mineral information, data and localities. Named in 1861 by Karl Ferdinand Peters in honor of Stephen Szaibely (Sjájbely) (1777-1855), mine surveyor of Rézbánya, Hungary, now the Băiţa Mining District (Baita Bihor), Romania. Szaibelyite Group. Sussexite-Szaibelyite Series. 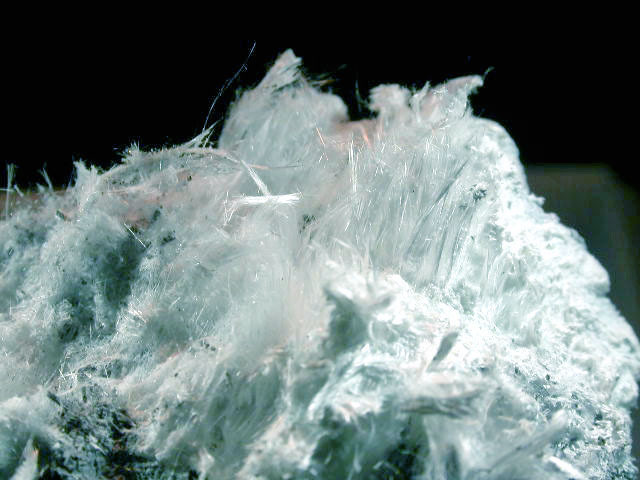 The magnesium analogue of Sussexite. Veinlets or masses with a felted or matted fibrous structure. Nodules, dense or chalky at times. Microscopically presents as minute laths or flattened fibers. Ludwigite 15 photos of Szaibélyite associated with Ludwigite on mindat.org. Borcarite 6 photos of Szaibélyite associated with Borcarite on mindat.org. Magnetite 6 photos of Szaibélyite associated with Magnetite on mindat.org. Kotoite 3 photos of Szaibélyite associated with Kotoite on mindat.org. Clinohumite 3 photos of Szaibélyite associated with Clinohumite on mindat.org. Serpentine Subgroup 2 photos of Szaibélyite associated with Serpentine Subgroup on mindat.org. Dypingite 2 photos of Szaibélyite associated with Dypingite on mindat.org. Clintonite 1 photo of Szaibélyite associated with Clintonite on mindat.org. Calcite 1 photo of Szaibélyite associated with Calcite on mindat.org. Suanite 1 photo of Szaibélyite associated with Suanite on mindat.org. 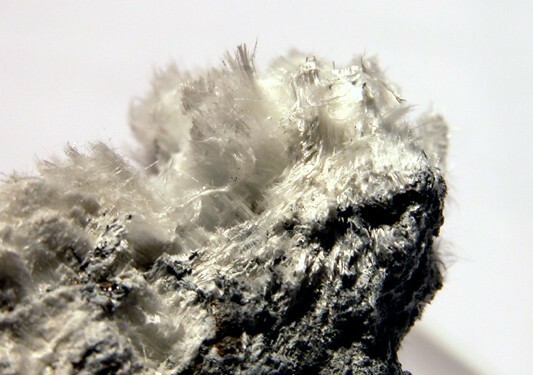 An alteration product of Colemanite, Inyoite, and Hydroboracite (Inder deposits). Peters (1861) Sitzungsber. Akad. Wissensch. Wien, 44, Abt. 1, 81-185 (as Sjajbélit). Dana, J.D. (1868) System of Mineralogy, 5th. Edition, New York: 594. Groth, P. (1874) Tabellarische Übersicht der Mineralien nach ihren krystallographish-chemischen Beziehungen. Braunschweig. 1st. edition: 38 (as Boromagnesit). Feit (1891) Chemiker-Zeitung Cöthen: 15: 327 (as Ascharite). van't Hoff (1909) Unters. ozean. Salzablag. : 2: 60. Ellsworth and Poitevin (1921) Transactions of the Royal Society of Canada: 15: 1 (as Camsellite). Eakle (1925) American Mineralogist: 10: 100 (also see Schaller, 1942). Schaller, Waldemar Theodore (1928), The probable identity of camsellite with szaibelyite: American Mineralogist: 13: 230-232. Geijer (1930) Geologiska Föeningens I Stockholm. Förhandlinger, Stockholm: 61: 19. Gruner (1932) American Mineralogist: 17: 509 (as Magnesiosussexite). Godlevsky (1937) Mineralogicheskoe Obshchestvo, Leningrad, Zapiski: 66: 315, 345 (as Alpha-ascharite and Beta-ascharite). Wantanabe (1939) Mineralogische und petrographische Mitteilungen, Vienna: 50: 454 (1, 3, 7). Schaller, Waldemar Theodore (1942), The identity of ascharite, camsellite and B-ascharite with szaibelyite; and some relationships of the magnesium borate minerals: American Mineralogist: 27: 467-486. Palache, C., Berman, H., & Frondel, C. (1951), The System of Mineralogy of James Dwight Dana and Edward Salisbury Dana, Yale University 1837-1892, Volume II. John Wiley and Sons, Inc., New York, 7th edition, revised and enlarged: 375-377. American Mineralogist (1975): 60: 273-279. Canadian Mineralogist (1981): 19: 291. Lovas, Gy. A. & Dódony, I. (1998): Structural study of szaibelyite from its type-locality (Rézbánya, Bihar Mts., Rumania). Acta Mineral.-Petrogr. (Szeged), 38 (Suppl. ), 89–99. Palache, C., Berman, H., & Frondel, C. (1951), The System of Mineralogy of James Dwight Dana and Edward Salisbury Dana, Yale University 1837-1892, Volume II: 377. Xie Hongyuan, Fen Benzhi, Zhou Ri and Ju Yitai (1998): Mineral Deposits 17(4), 355-362. Goujou J-C., Guitard G., Berbain C. (2000), Le massif de Costabonne, 2464 m (Pyrénées-Orientales), Le Règne Minéral, n°32, pp: 5-12; Aleksandrov, S.M. and Troneva, M.A. (2011). Genesis and composition of endogenous borates in the skarns of the Eastern and Centran Pyrenees. Geochemistry International, 49, 849-862. Palache, C., Berman, H., & Frondel, C. (1951), The System of Mineralogy of James Dwight Dana and Edward Salisbury Dana, Yale University 1837-1892, Volume II: 376.
ⓘ Vedretta della Miniera ? Minakawa (1977) Chigaku Kenkyu, 28, 51-54. Kato, K. and Hori, H. (2006) Suisyou, 18, april, 26-28. World of Stones #1; Pekov, I. V. & Abramov, D. V. (1993): Boron deposit of the Inder and its minerals. World of Stones, 1, 23-30. 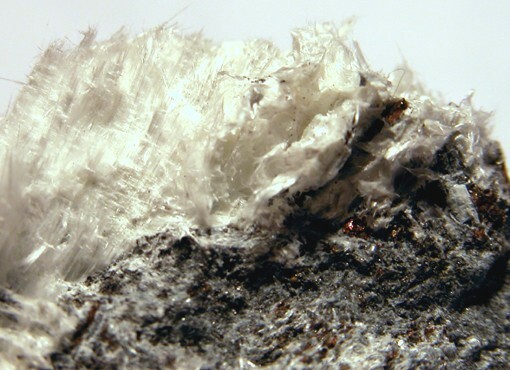 Raade, G. & Tyssedal, M. (1975): Althausite, a new mineral from Modum, Norway. LITHOS 8, 215-219. Varlakov, A.S. (1962): Dokl. Akad. Nauk SSSR 143, 207–209. Galuskina, I. O., Kadiyski, M., Armbruster, T., Galuskin, E. V., Pertsev, N. N., Dzierzanowski, P., & Wrzalik, R. (2008). A new natural phase in the system Mg2SiO4Mg2BO3FMg2BO3 (OH): composition, paragenesis and structure of OH-dominant pertsevite. European Journal of Mineralogy, 20(5), 951-964. Galuskina I.O., Kadiyski M., Armbruster T., Galuskin E.V., Pertsev N.N., Dzierzanowski P., Wrzalik R. (2008) A new natural phase in the system Mg2SiO4-Mg2BO3F-Mg2BO3(OH): composition, paragenesis and structure of OH-dominant pertsevite, - Eur. J. Mineral., 20, p. 951-964. Eakle, Arthur Starr (1925b), Camsellite from California: American Mineralogist: 10: 100-102; Schaller, Waldemar Theodore (1928), The probable identity of camsellite with szaibelyite: American Mineralogist: 13: 230-232; Watanabe, T. (1939), Kotoit, ein neues gesteinsbildenes magnesiumborat: Min. p. Petr. Mitth., vol. 50: 454; Pemberton, H. Earl (1983), Minerals of California; Van Nostrand Reinholt Press: 237. Palache, C., Berman, H., & Frondel, C. (1951), The System of Mineralogy of James Dwight Dana and Edward Salisbury Dana, Yale University 1837-1892, Volume II: 377; Rocks & Minerals: 58: 108.